Ransomware is a nasty category of attack that we’ve seen dominating the so-called 'threat landscape' in recent months. It can affect every type of computer user including home users, small businesses and even extremely large enterprises. Anyone who stores valuable data on a computer is at risk of this digital extortion racket, which encrypts data files and offers the key to recovery for a hefty price. Over the last three months we have been monitoring the threats that affect real users and businesses. 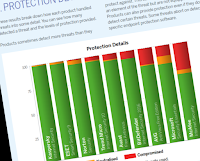 We've used many of these attacks to test systems protected by a range of different security products, including some very well-known anti-malware programs. Because we're seeing a lot of ransomware on the internet, and because we believe that testing security products should revolve around the significant threats out there (rather than the very obscure, rare ones), there was a large amount of ransomware used in the test. We are proud to present the results of that work in these reports. 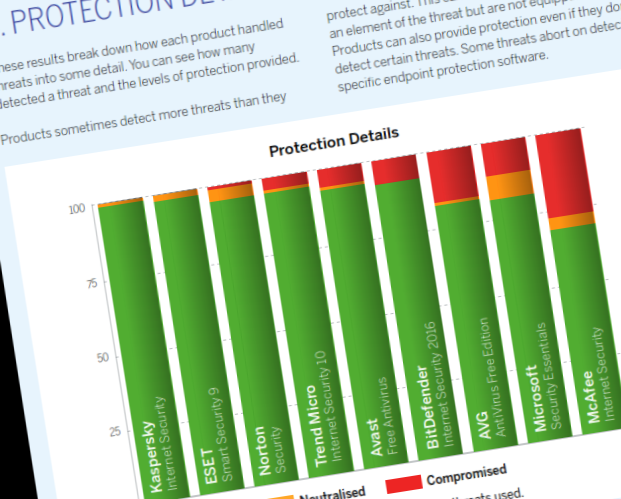 Read about how the leading anti-malware products handle today's threats. UPDATE: There are new reports available.